12397071456. **Please note, all guest arriving after hours MUST formally check in at the office the following day. Thank you for reserving your golfing vacation through Tee Times USA. Very comfortable two bedroom suites and centrally located. Very clean, well taken care of villa. Close to the pool and wonderful to be right on the golf course at Flamingo. Fantastic lodging and in walking distance to the golf courses, loved it. Once again, our accommodations were very nice. Super clean and had all the needed amenities. Excellent apartments with excellent front desk service. Love Lely resort 3rd time here. Everything is very nice and clean. There were 3 of us and we each liked the bedrooms, each has a fan and TV which is nice. Pool area is nice. Definitely would stay again. Easy to get to everything from Lely. Great place to stay. Very clean and friendly. Two courses on site. Booked a two bedroom with pullout sofa for (4) golfers. They upgraded us to a three bedroom at no additional cost. Nice 3 bedroom villa and great location. Great stay for our foursome. Great value and very easy to do business with at Tee Times USA. GreenLinks at Lely is great!! !Huge 3bedroom condo. Spacious. Fully equipped.Very helpful and friendly staff. The villa was awesome. It had everything you could need. 2 big bedrooms, nice kitchen and living room. I would stay there again in a second. The villa was excellent and The Mustang and Flamingo courses are must plays! Best quality value. Close to many beautiful golfcourses and real good restaurants. The site is really nice andclean. The rooms are comfortable and well maintained. People arereally nice and helpful. The 3 bedroom villa was super cool. It worked out perfectly. Had everything you needed. Each room had a TV and fan. Second bath no hairdryer. Close to restaurant which was good and driving rage and pool. Would definitely go back! Our group of nine completely enjoyed theaccommodations. The welcoming staff was pleasant and helpful. Also the on-site restaurant food was quite good. Looking forwardto our next visit. Excellent 3bdrm/2bath accommodations. Was clean andspacious and only a few steps from the clubhouse! We willdefinitely be back!! The unit was claen and roomy and had all the amenitiesneeded. This was the second time staying at this facility. Werecommended to friends. One of them is staying there in Feb.
Our unit was very clean and well equipped. It was everything we expected. Accomodations were good. very clean. Staff not themost accommodating. Central to Naples area courses. This was our 8th annual visit to GreenLinks. As always - condo was nice and staff was friendly and helpful. Definitely plan to return next year. Condo was clean - but a few of the items [vacuum - broom - etc.] were missing when we arrived. Nice location - friendly and helpful staff. The Villa we stayed in was very clean and great location. Also we had a lot of room. Would go back there again and we plan to. If you have stayed at GreenLinks Golf Villas at Lely Resort, we would like to hear from you. For stays of 7 nights or more, receive a complimentary full service cleaning. 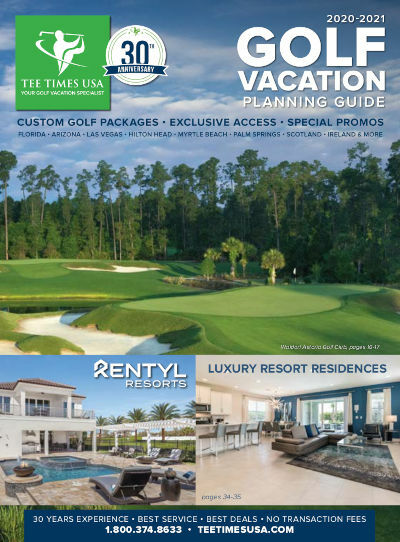 GreenLinks Golf Villas at Lely Resort is truly a golfer's paradise. This is a rare chance to pursue your passion for the game while staying right on-site at Naples' only Robert Trent Jones, Sr. signature course -- the Flamingo, and Lee Trevino's extraordinary Mustang course. In all, it's 36 holes of golf that continually receives four-star ratings. Select from two and three-bedroom suites that are made to enjoy Florida living. Guests choose from two accommodation options: "The Mustang" (three bedroom, 1,538 sq. ft.) or "The Flamingo" (two bedroom, 1,343 sq. ft.). Both suites include two full baths, fully appointed kitchen, breakfast nook, dining room with seating for six, spacious living room, walk-in closets in the master bedroom, washer/dryer and screened lanai. Optional maid service is available. Guests enjoy the outdoor pool, fitness center and outdoor Jacuzzi. The on-site restaurant "Sam Snead's Oak Grill & Tavern at Lely Resort" offers a delicious selection and has received rave reviews. Daily maid service is not included but can be arranged for an additional fee ($50 + tax per service). Towel and trash removal service is available at $20 per service. All services must be arrange 24 hours in advance. ($64.20 for a 2 bedroom and $85.60 for a 3 bedroom).